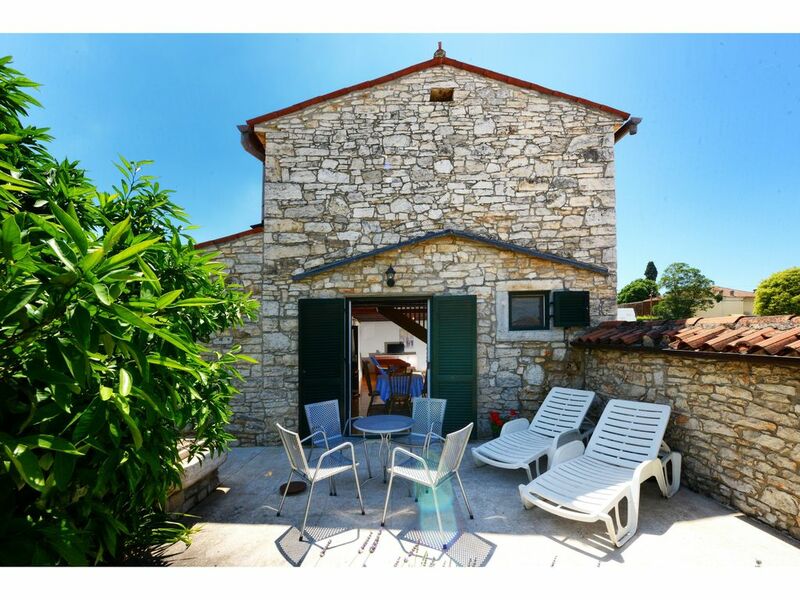 Villa Dina is a beautiful stone house with a large garden, ideal for children. The covered terrace at the front is ideal for enjoying the excursion or lazy afternoon. The barbecue is also on the terrace and near the kitchen.On the ground floor there is a living area, a dining area, a kitchen and a toilet with shower. Upstairs are two bedrooms. The property is completely fenced, there is a large garden, table and chairs in the garden. Detached house, large covered terrace, large garden, fully fenced property, free wi-fi, near the sea. This house is a great house for 2-4 people. It does lack a pool and because its in the middle of a small town, not much air when its warm... having said that, then the house itself is beautiful and in good shape. thank you for your review. We will take into consideration thisgs to mention. However, I must say that I am really confused by your remark the house misses a pool. The house does not have one, it is not advertised with one and therefore the price. We do have properties with tpool but you have chosen the one without the pool. Regarding glasses and missings things in the kitchen- I am very sorry that you have not reported it to us during your stay so we could replace things that were not good or there were any. It is very important to us to get some feedback from the guests as sometimes it is very difficult to say what is working ok or not when guests leave ond the new ones come the same day... Regarding the dishwsher, it broke and you reported it to us and the owner called the service people immediately. I am very sorry for the inconvenience but sometimes those things happen and cannot repair it ourselves. We really hope you managed to have a good holidays after all.